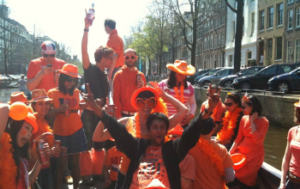 The RSM Sailing Club goes to King’s Day! 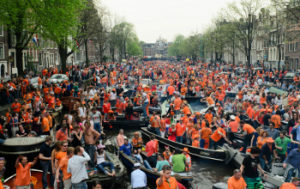 Any plan for the King’s Day? Welcome aboard! 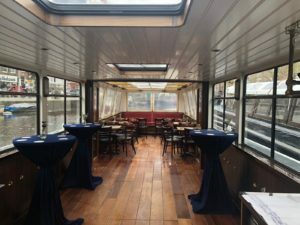 RSM Sailing Club invites you to join us on this exclusive and fun social event on a luxury electric powered ship in the city of Amsterdam! Save the date: 27th of April. The best opportunity to experience with your MBA classmates, alumni, locals and visitors Amsterdam’s most attractive celebration at the open-air: parties in the streets, live music, DJs, citywide street markets around the canals, parks and everywhere in between… orange will be all around! 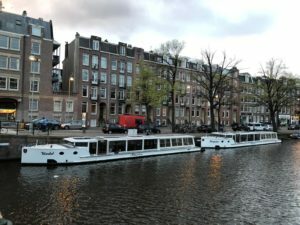 Come and share with us a luxury cruise for 4 hours (in the afternoon) through the canals: soft drinks, beer, wine and nice music will take place on the boat! Only 60 tickets available. We will have a hardtop, so in case it rains we will be protected and proper toilets are onboard. Only snacks can be purchased onboard. And yes, we are going green! 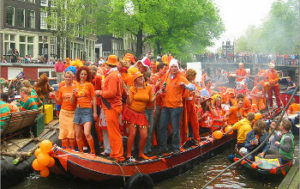 For the first time the King’s Day cruise party is fully sustainable. 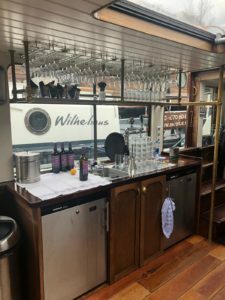 Ticket includes: From 3pm to 7pm – €74, Three Drinks will be included however there is possibility to buy more on the boat. Food will not be provided. Guests on board : FTMBAers, EMBAs, OneMBAers and RSM Alumni can be escorted by one paying guest. The ticket for guests are exactly the same (same price and benefits). RSM students or Alumni should purchase two tickets. During the boat trip, the skipper has the right to interrupt or cancel the trip when in his opinion intolerable or unsafe situations are or have been occurring. No trash can be disposed in the canals. Throwing with glasses or any other things to the shores, even when thrown at first, can lead to the immediate cancellation of the trip or at least a final warning. The ticket is not refundable. Only MBA students/alumni can participate to the events organized or sponsored by the RSM Sailing Club. If non MBA people buy tickets for the events, participation will not be allowed and the RSM Sailing Club will not refund the ticket.